It is likely that you saw something of the climate strikes on social media, whether that was a post encouraging you to attend or simply a picture of one of the protests that took place around the world on 15 March. These protests, with their condemnation of inaction on climate change, caught the public eye for the fact that so many of the protestors were schoolchildren. As students, we are accustomed to thinking of ourselves as young. The fact that the majority of climate strikers were youth still years away from being able to vote exhibits the need for a recognition that youth does not, by definition, include the student population. Indeed, arguably the most influential figure of this movement, Greta Thunberg, began missing school to protest environmental inaction when she was only 15. 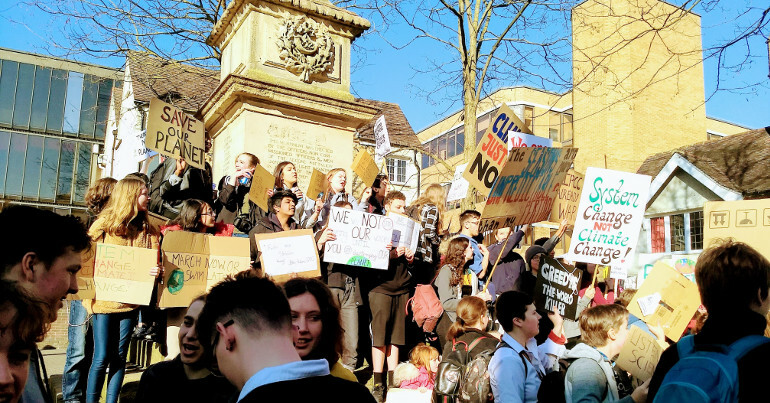 At the Oxford protests on 15 February, Bonn Square was packed with secondary-school and even primary-school pupils, gathered to listen to George Monbiot, Layla Moran and young people speak about climate change. It is shocking that teenagers are missing school to call attention to environmental issues. This phenomenon is a dramatic reflection of our politicians’ failure to address climate change. There can be no pretence that current measures are sufficient to protect the planet: just look at Trump, Bolsonaro, fracking, or even the Paris agreement which is beginning to look like window dressing. Individual action can only have so much impact when weighed against government policies. No wonder young people feel angry: their future is being mortgaged for short-term gains. It is beyond dispute that children should not have to take to the streets to point this out. However, given the reality of the situation, we can also read an altogether more positive message in the climate strikes. They show a real attention to environmental issues that are so often ignored. Young people are bringing energy and creativity to the problem of climate change, with strikes, speeches, social media and slogans from the witty to the painfully poignant. This is global activism in response to a crisis, channelling discontent with serious thought and terrible puns (“The snow must go on!”). Moreover, the strikers have had some success: environmental protest has been on newspaper front pages and the UN secretary general called a climate summit for later this year in response to the 15 March protests. We can hope that politicians are waking up to the reality of these concerns. No wonder young people feel angry: their future is being mortgaged for short-term gains. Admittedly, effective and immediate political responses have not been forthcoming. In a Britain torn apart by Brexit, most politicians seem to think that the environment is an issue they can deal with later, if they want to address it at all. This is madness: combating climate change is far more important than an issue to be merely pushed aside for future consideration. Nevertheless, no one really expected world leaders to start dismantling our carbon-fuelled socio-economic system straight away. The strikes are valuable in themselves, both as a refusal to allow politicians to ignore the most crucial issue of our time and as a way to get people talking and raise awareness. They encourage us all to do more for the environment, both in our individual actions and in a more politicised and organised way. The strikes therefore also provide a useful antidote to the stereotype of today’s teenagers as self-indulgent and self-obsessed. Those who cannot yet vote are getting their voices heard in support of the planet and are calling out the leaders who have failed to take them into account. It is disappointing that some seem unable to recognise the value of such engagement: Theresa May and Damian Hinds argued that pupils should be in class, rather than trying to save the world. Regularly missing school cannot be viewed positively, but the 15 March protests surely justified skipping one day. 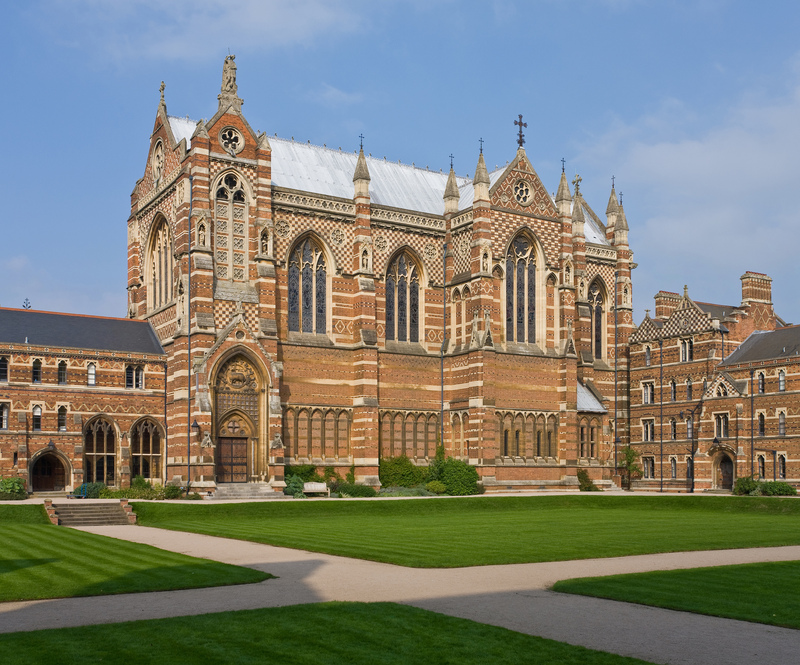 If so many students were willing to miss school, why did comparatively few Oxford students attend any of the climate strikes held here? For although we may be positively old compared to some of the protestors, we are young enough that climate change will have a critical impact on our future. It would be sad to think that we simply do not care. Perhaps we see the system as too entrenched, with the environment heading for an inevitable disaster that a few protests could not possibly change. Yet such cynicism would be a refusal to even try to change that, making us merely the youngest of a generation that knows the danger, but does not address inaction. Are we already part of the problem, rather than the solution? I have argued here that the climate strikes do make a difference, even if they have not resulted in concrete change so far. As students, we could bring a great deal to these protests: our weight of numbers, as well as the promise or loss of our votes. As climate change begins to make itself felt, there will surely be further protests. We students must support our younger brothers, sisters, nephews, nieces and cousins in their fight. The student loan sell-off: what is it and why should you care?